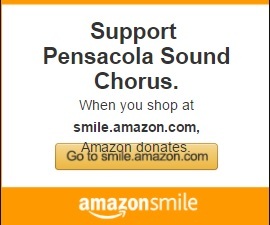 Charter member of Pensacola Sound Chorus. Section I sing - Lead. Started coming to rehearsals in 1992 to be a part of a group of women with the same interest of singing and having a hobby of "me-time" away from family. Little did I know it would became a way of life, with friendships lasting a lifetime.I started singing a cappella at church at a very young age, loved the harmony and knew I would love barbershop.The education I have received has increased my knowledge of music,still have a long way to go! Held several positions on the Management team but at present, treasurer.